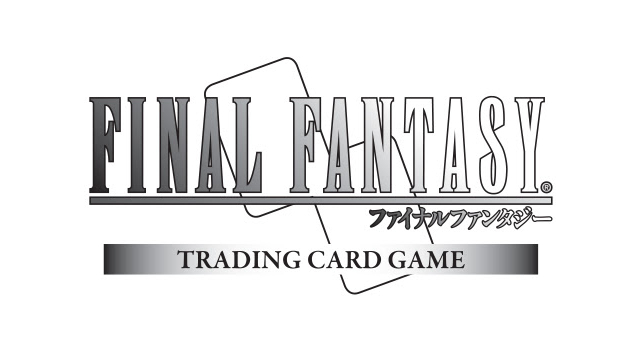 In a new press release from Square Enix, they have announced that with the launch of its new Opus VIII expansion, the Final Fantasy Trading Card Game has shipped 180 million cards worldwide so far. Alongside this new expansion, there is also a pair of two new starter packs that feature Final Fantasy VII and Final Fantasy XIV: Stormblood. The Final Fantasy VII starter pack is geared toward defense. It has a heavy focus primarily on earth and wind elements, and also on getting every party member into play. Meanwhile, the Final Fantasy XIV starter pack takes a much more offensive stance. This more aggressive starter pack is also very focused on the Stormblood expansion. 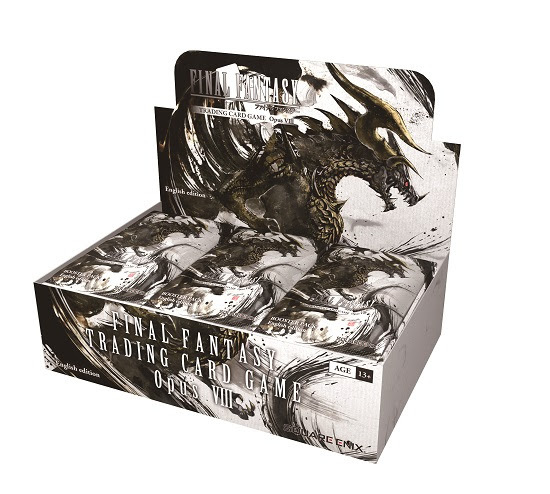 You can find out more at the official Final Fantasy Trading Card Game website. The new Opus VIII expansion adds characters from two more games. They are Final Fantasy XV and Final Fantasy: Brave Exvius. The Opus VIII expansion also has a limited time offer available as well. 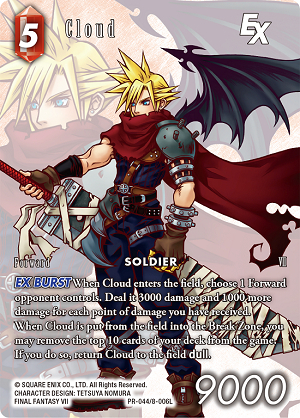 Players who pick up a sealed Opus VIII booster box will also receive a Full Art Promo Card featuring Cloud (of Final Fantasy VII fame) in another form. This offer is only available while supplies last, so if you want it you’d better not waste any time!